Email is part of daily life that’s easy to take for granted. In many ways, it’s the backbone for all the information we receive. For product development teams, the messages their apps send are an indispensable tool for generating user interest, building trust, and nurturing long-term engagement. These product emails have a dramatic impact on customer conversion and retention. 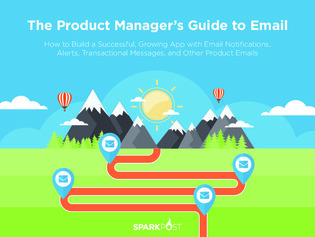 In this guide, explore how email notifications and other app-generated email messages can help teams building fast-growing services make the most of email in their products.